Well hello; so I've decided to make a huge step forward in my life! I've begun my studies to becoming an LPN and I guess we will see where that takes me. I am doing this because its a dream, it's a goal that I am going to accomplish and in the process my children will remember to dream big and never give up! So I'm 6 months into this now and so far so good. It definitely hasn't been an easy go. On the second day of our very first training it took everything inside of me to not just totally break down. We were practicing resuscitation and Everytime I got the baby I wanted to scream. For anyone that doesn't know, not only am I a single mother of 5 boys, I also lost my daughter 2.5 years ago now due to many complications with her heart. She was a fighter and grew so very tired. It has not only been a struggle trying to read, study and keep up with homework all while trying to keep 5 boys fed, up to date with homework, at sports and every other thing they must do....it has been very difficult trying to not personalize many things I am learning about in classes when it comes to the care and disease process of my Princess' condition. So far I have enjoyed almost every aspect of my studies and am looking forward to more clinical time. To be honest I really just wanna be thrown into the ER!! I really have a special place in my heart to work in pediatrics, I always have and think that that is where I will end up. So back to my studies I go! Just to make my mommy smile. The beauty of Christ’s work in me. “Lord, with you all things are possible”. Decisions to make, “Lord, show us the way”. Daddy drives at a pretty good clip. All of this for their Little Princess. Secure and protected by a peaceful white dove. To the place I’d rather not be. Trying to make everything right. She shelters me like a strong, beautiful tree. She’s not gone long- just a few clothes and some toys. I smile; they love me above all others. She vowed to protect me from all harm. The picnic, the rodeo, we’re off to the zoo. The boys pretend they’re a lion so fierce. “Thank you, Lord, with you all things are possible”. But then something happens, something goes wrong. They work very hard to get my heart back on track. My chin starts to quiver and I just might cry, because I love her so much. There are so many changes, so many decisions to make.. Blood samples, tubes, wires, and lights keep me awake. A transplant, maybe...is Sarai that strong? when Mommy holds me and sings me a song. I didn’t even crawl or grow very tall. Daddy wrote me a song, in which he sings lead.....”My Girl”. And so, I must leave now, I only came for awhile. ...to my family, full of love and strong warriors of faith. 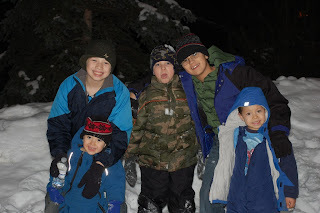 Me and my boys at Christmas!! Well it's may and I have finally gathered up the gumption to write. I am actually in the midst to thinking about a book! So I have spent the last 4 months in college and moving forward to getting a degree of some sort! My heart is with caring for others so I am going into nursing. I do also have the ambition to get into the environmental field. Decisions decisions! I'm not sure about all of you but for me the winter seemed to go by very quickly. 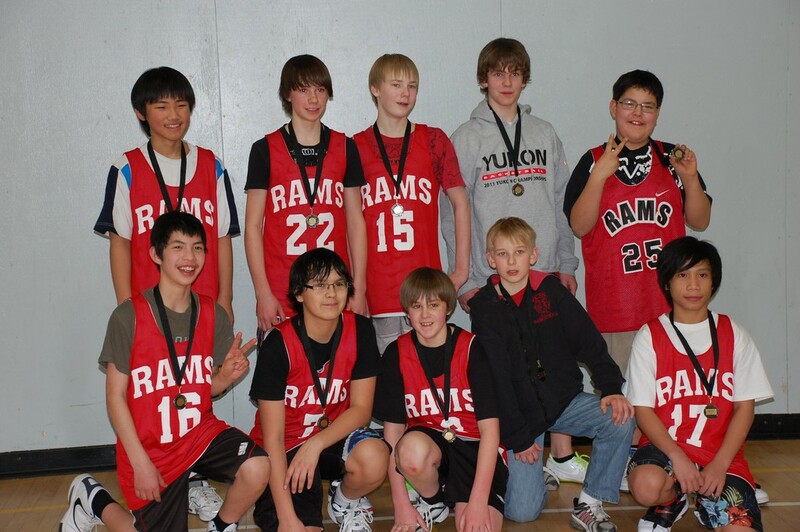 Josh's Basketball team they won gold in the playoffs!! 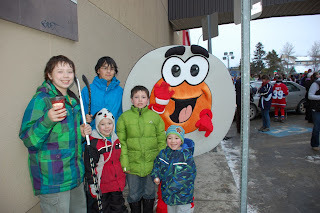 However; I do have five boys who are very active and love sports so between hockey, basketball, badminton, youth groups and school, we are very very busy all the time! We are looking very forward to summer break! And there will be NO sports in the summer...organized ones anyway. One of the biggest changes for us since January has been our move to Whitehorse! We have been blessed with a 5 bedroom home with a wonderfully huge back yard. The first week we moved here I realized that we were all gathered together in the living room 90% of the time! Having lived in a 1 bedroom hotel room for 7 months, then a motor home for 3 months and a 2 bedroom apartment for 3 months, everyone just did not know what to do with all this SPACE!!! It took a week but we are very well adjusted to the living space now. Top left; Danny coloring eggs, Right; All the finished eggs Bottom; Noah and David making rice crispy eggs for school! Picking up all the pieces of our lives that were left scattered, has been difficult but we are doing it. 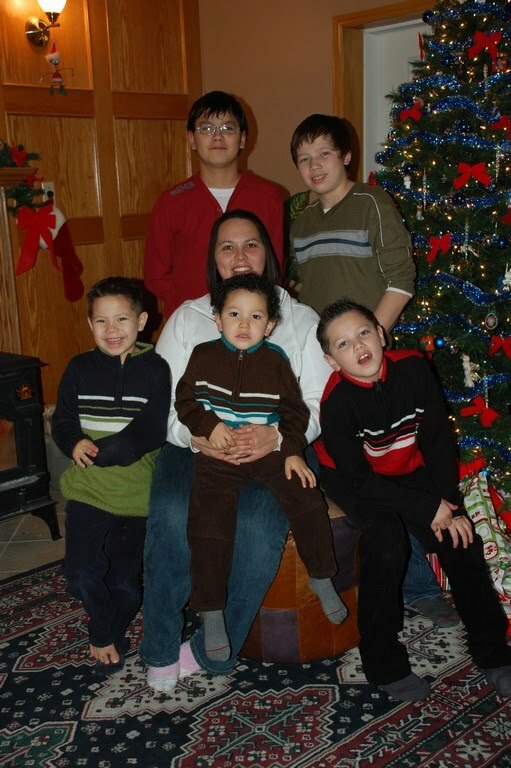 I am not sure where I would be today if I did not have my boys. They are my everything, the reason I keep going everyday and the reason I get out of bed. I love them so much and I have been so blessed to have such great kids! And, can you believe since January I have not only one but TWO teenagers. I have had many comments like; "And now for the trouble", "What ever will you do, these will be the hardest years," I do not look at it negatively! I am embracing this time with them and I believe with enough love and guidance we will get through these years and make them full of the best memories! It's a time of gaining trust, meeting needs and and boundaries and compromising. 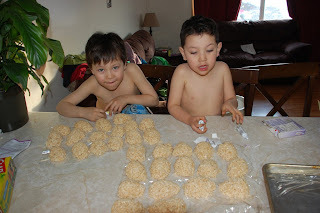 So far we are doing great and I have a very close connection with my boys. We all continue to miss our "Princess" Sarai very much. We can often be found looking at pictures, talking about her and our memories and visiting her grave site. We are now in the preparations of getting things in order for her Headstone setting! Some very wonderful friends are building her a castle to be placed over her, and yes it will be a castle fit for a "Princess." So for the next few months I will be found at my sewing machine creating. Well that is all I have to write for now and you can be sure to be seeing a lot more posting from now on! Well I'm not even sure what to write. 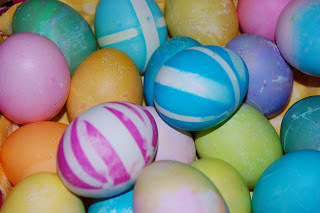 I have been reading my blog for the last week going through from beginning to end. I realize I have not written since February when we took our precious Princess home. A lot has happened since my last post and I find myself here at this moment lost in a flood of tears, emotions and life changes. Well I will back up to my last post.....Yes we took our girl home. We were settling nicely. Life was hectic and having Sarai home meant constant cleaning and disinfecting. 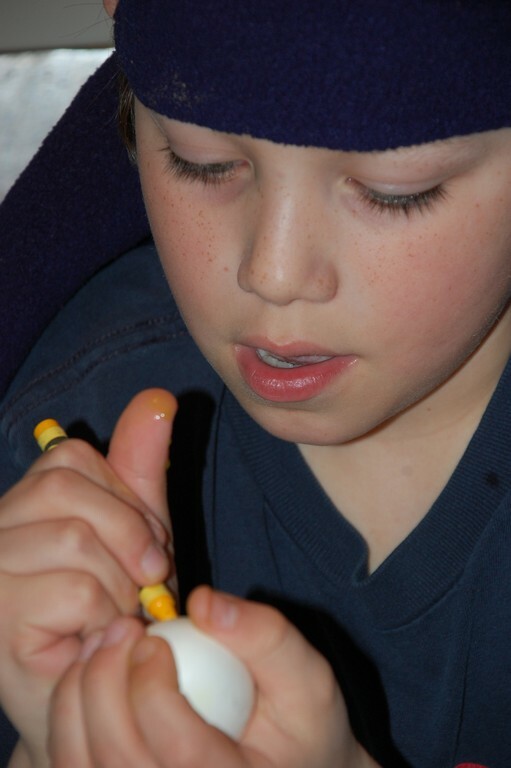 We had to monitor the traffic in our home closely and when we had visitors we were constantly reminding to have hands washed and sanitized. 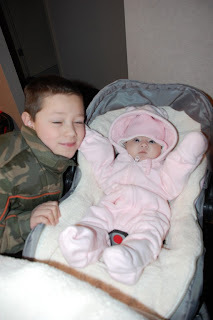 We managed and her big brothers certainly enjoyed having their little sweet sister home. 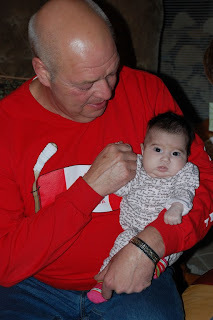 Sarai had visits from her grandparents, and close friends and family. Our weeks home were filled with twice a week visits from the community nurses and doctor. 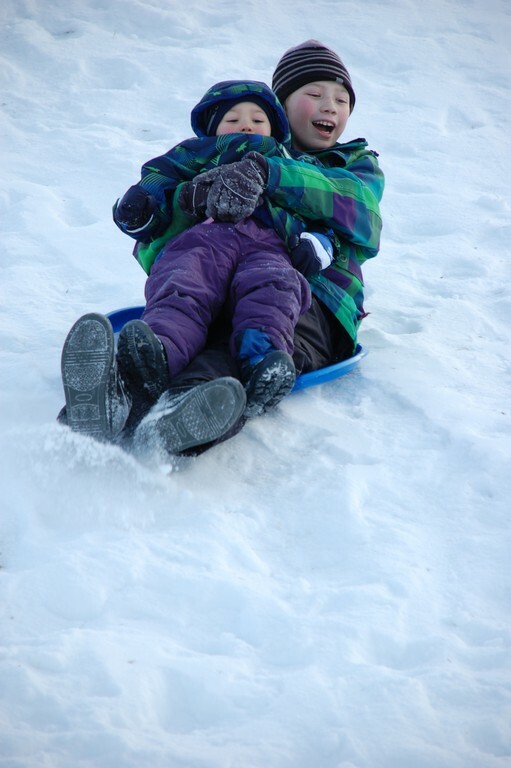 We carried on each day as normally as we could. The boys went to school, Dad worked, mommy cooked and cleaned and tended to her sweet girl. Sitting at home and holding Sarai in my arms was such a wonderful feeling. 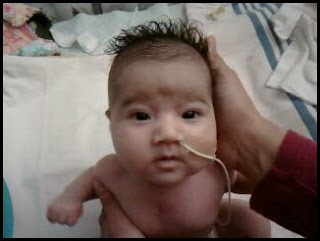 On March 10th, 2010 Sarai awoke with a bit of a cold! 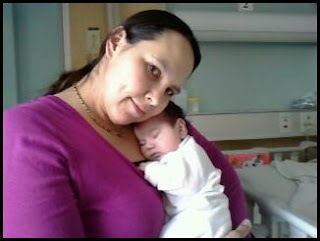 Due to her health concerns Mommy and Sarai were medevaced to Whitehorse General Hospital. There we stayed for 2 days and at that time Sarai was sent home. Because of mommy intuition I decided to spend an extra night in Whitehorse with Sarai. This decision was (at the time) a life and death decision. The next morning we were getting ready to head home to Faro, however I felt still yet a little hesitant. With in a few hours our world was coming crashing down yet again! Sarai became very ill and I rushed her into Emergency. At that time I got on the phone and called to the Cardiac care ward in the Stollery Hospital. It was at that moment that they immediately sent a medevac for us from Edmonton. As I sat there in the emerg with my baby girl, I felt helpless as she lay there with an oxygen mask covering her sweet little face. She lay there starring at me with her beautiful brown eyes as if she was telling me just how much she loved me. Auntie Patsy, Auntie Mary and Auntie Mel were all quick to go to the hospital to wait with Sarai while mommy left on her flight! Let me tell you it was a very agonising 9 hours from the time I left my baby girl until I seen her again. 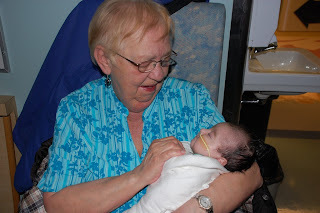 I arrived in Edmonton at 10pm that night and Nana picked me up at the airport, we then went to the hospital to wait for Sarai to arrive. I paced the hospital floor for 2 1/2 hours before they finally wheeled Sarai in on a stretcher and when I seen her, my poor girl she was so sick. I knew at that moment that this was not good at all. They took Sarai into the PICU and we had to wait in the waiting room as they worked to stabilize this delicate little girl. I was so tired and exhausted but there was no way I could possibly sleep until I seen my girl, so after 4 very long and tear filled hours the doctor came out to tell us we could finally see her. Oh how my heart ached when I walked in to her room and seen her hooked up to all those dreadful machines, lines and medications. 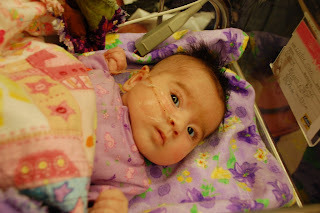 At this point we were told that they almost lost her and she would be on ECMO alert for awhile. Days went by as I sat by her side, singing to her, reading to her and holding her. Each day she fought through, she was such a strong and courageous girl. Now back home life was falling apart faster than you could imagine. I can not begin to tell you what happened however all that we had already been through has triggered something in Dad and he could not cope. Mommy had to leave my girl in that PICU unit and fly home to get her big brothers. Nana and Auntie Patsy stayed with Sarai until mommy got back. This was so hard to leave her and know that I would be so far away from her for so long (It was only a few days however it felt so long) The whole time all I could think about was getting my boys into a healthy environment and getting back to my girl. I think the big brothers were so happy to be able to come and be with Sarai and I am so very happy I brought them. 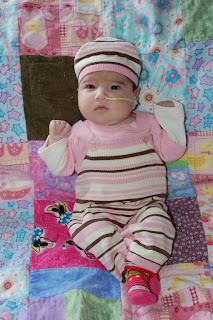 Sarai spent 1 full month in the PICU and was then transferred up the Cardiac floors. 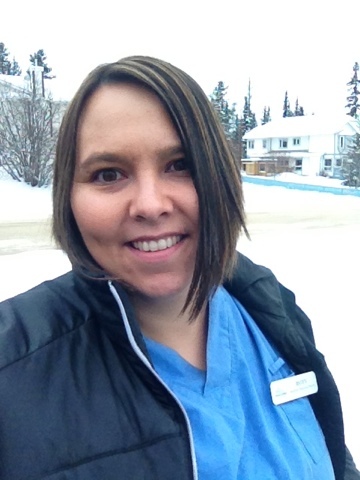 At this time I was told by Sarai's doctor that Sarai would not be able to return to the Yukon as she needed to be closely monitored for an unknown amount of time. WOW! now I was left to make decisions for moving and relocating my children. 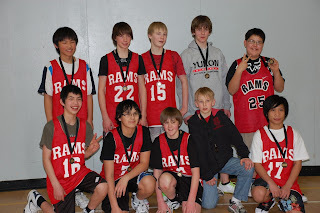 It was at this time that Josh and Mick began attending the Stollery school during the days. What a wonderful school with wonderful teachers and not to mention the rest of the hospital staff who accommodated and made our stay so wonderful. 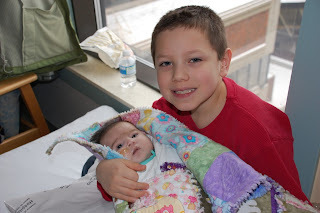 Everyday during breaks Josh and Mick would go to see their sister and if mom was not in the room at the time they would be assisting the nurses with whatever Sarai needed. It was definitely not an easy time for me. Each day I shuffled back and forth from the hotel to the hospital, and not to mention getting those boys out to play.....with 3 little ones and managed to look after my baby girl at the hospital. So let me tell you when they said we could take Sarai back to the hotel to stay not only was I ecstatic but those boys were so so very happy! 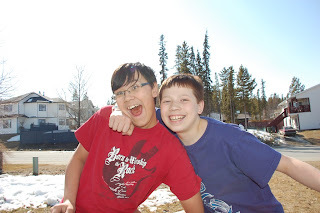 Josh and Mick continued at the Stollery school for the duration of our time in Edmonton. We did many many things with Sarai in the big city! We got her ears pierced, did a lot of shopping and since summer was approaching what girl could have only one pair of sandals and shoes? We took Sarai to many parks and on many picnics at parks, at nana and poppa's river property and to Cam and Jeanine's farm as well. 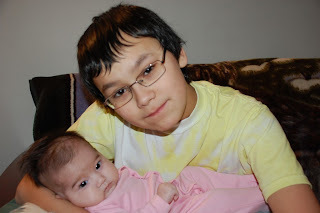 Sarai frequented the West Edmonton Mall, Costcos, Walmart, Baby's R us, and many other stores with mom and brothers. 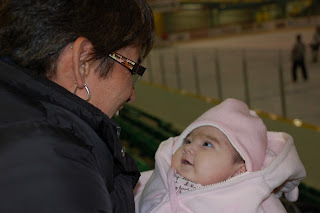 We went on an overnight trip to Nana and Poppa Franks in Red Deer, went on a huge picnic there as well with their family and another picnic with Harmony, Auntie Candace and Uncle Jason. Sarai went to the Rodeo, where she watched her 3 biggest brothers take on the Wild ponies. We also had many many visits and dinners with Nana and Poppa as well as visits to Oma's where she was always getting her cheeks squeezed by little old ladies! Our days were filled with much happiness just being able to watch Sarai smiling, laughing and growing. Sarai loved to just lay on the floor and play with her little toes and her toys. What a precious little Princess! We made frequent visits to the doctor for various tests ranging from cardiac ultrasounds to blood work. 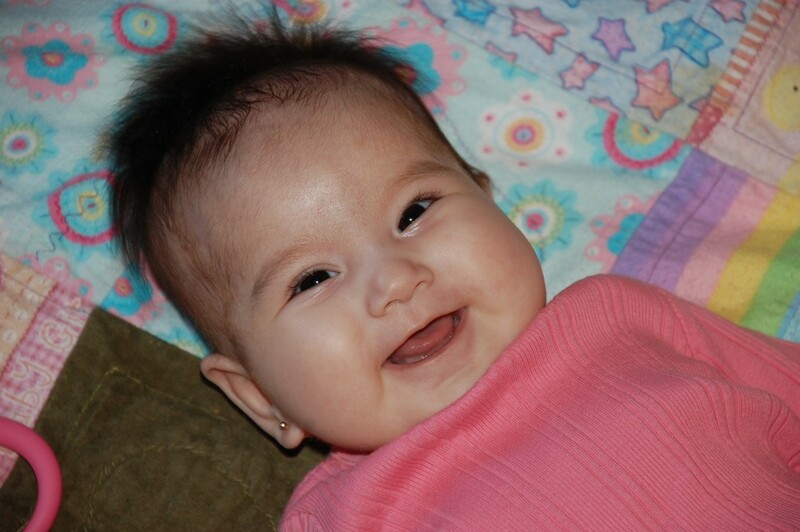 In mid May Sarai was readmitted to the Stollery Cardiac floors for an adjustment to her meds. 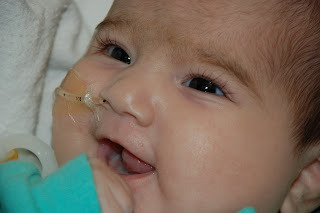 At this time it was discussed between a team of doctors that it would be in Sarai's best interest to begin the stages to work towards a heart transplant! Heart Ache!!! However if this was what Sarai needed than this was what we would do for Sarai. The next few weeks were very hard for me and much more stressful on my precious little girl. 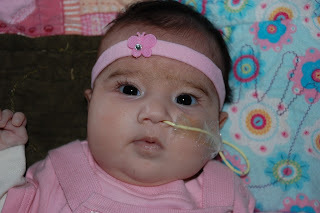 Everyday Sarai had to undergo and array of tests and procedures and not to mention the blood work. That little girl she was such a trooper, she had that smile on her face all the time. A star patient you may call her! She caught the eye of everyone who walked past and stole the hearts of many. We had many meetings and met so many NEW doctors who would now be involved in Sarai's care. Our team went from about 10 doctors, social workers and other professionals to about 25 in just one day! Overwhelming is the only word I can use to express how I felt. The hardest part for me was watching helplessly at Sarai's bedside as she underwent test after test and poke after poke and not to mention all the prodding. 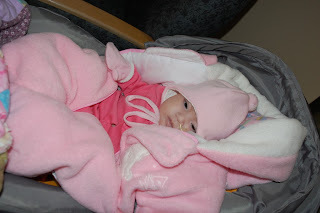 Then on June 3rd, when Sarai awoke she had a slight fever and was not feeling too well. I remember holding her and dancing her around beside her bed singing to her, and praying in my mind that God would give her healing. My heart hurt so bad for her when the lady came in to do her blood work. The look in Sarai's eyes when she turned and seen her coming in.....my sweet girl, she just looked at her and screamed at her. I knew that my girl was so tired. I sat there after they took her blood and held her tight and cried for her. I remember that day so clearly; how she was so upset all day, so grumpy, and so tired but restless. I took an hour break to take the little boys to the playroom and let her try to get some sleep. The two oldest boys came from their classes and Josh sat in the playroom with Noah and David and Mick, Danny and I went back to Sarai's room. I changed her diaper and picked her up trying to console my sweet baby girl. It was at this time that I was very concerned about what was going on with her. I called for the nurse who had already called the doctor to come. 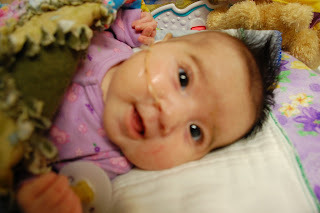 Within 5 minutes the room was flooded with doctors and nurses and Sarai was being whisked away to the PICU. 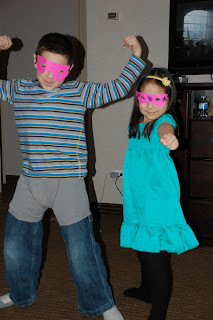 I took the boys quickly to our hotel room and returned to the hospital. 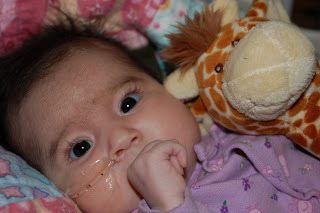 It was about a half hour from when I last seen her to this point and when I came in Sarai was on the ECMO circuit and and she lay under a mess of tubes and needles. All I could think as I stood there rubbing her head was "Lord how much more can such a tiny baby take?" I meant that thought as a cry for healing for my little girl. That night Nana and Poppa came to stay with me and Ron and Shelia came to pick up the boys. When I left my girl that night, after 6 hours of no response, I went to her, kissed her and told her how much I love her and how much more Jesus loves her, at this point she moved her head and arm. 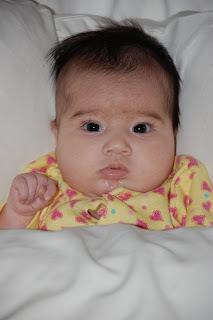 I returned in the morning to find Sarai still unresponsive and she was being sent for yet more tests. It was like being in the middle of one of those nightmares you just can't wake up from. 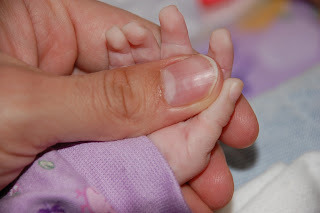 So after spending 3 days with my precious girl, singing to her, holding her little hands and feet, it came time to let her go. This is the hardest thing any parent will ever have to go through. All I could think while I was looking at the monitor was how ironic this all was, that this whole time we were fighting to keep this delicate little heart beating, and in the end it all came down to the lack of oxygen in her brain during CPR. So on June 6th at 11am surrounded by Mommy, Daddy, Nana, Poppa, Auntie Candace, Auntie Jeanine, Pastor Randy and Joan, Sarai went home to be in heaven. The healing we prayed for was done, she would now be healed with a new heart and body. I sit down often and think how, if only I knew the last time she looked at me with such love would be the last, I would have starred longer. 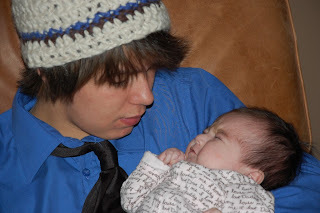 The last time I held her and danced and sang, I would have held her tighter and sang longer. The last time I told her how much I loved her I would have said it a million times more. I am so thankful we could have the time we had with her. I am so happy her brothers were there almost all the way. I am thankful she was such a beautiful, happy girl and even now as much as it hurts me that she is no longer here with me, that in Heaven she is whole and she is smiling just as hard as when I held her in my arms and sang to her. So now I am on a new adventure with my boys and life has definitely thrown us some curve balls; however we are going forward and doing all we can to remember Sarai. Life is not that same for us nor will it be, but we will make it new and full of new adventures. Thank you all who have supported us in the last year. You are always in our hearts and will forever be! Theres a Rainbow at the End of the Storm!! Well since my last post a lot has happened. A lot of great stuff. The best being the fact that we have our precious little Princess at HOME!!!!!!!!! Our last month in the hospital consisted of many meetings with doctors, nurses, dietitians, and many many more people that I can not even remember. I am sure our paths will cross again at later dates on trips for check ups. On Jan 11th Sarai graduated from NICU to the "floors" and this time till the end of our stay, well I shouldn't say that we did go back to NICU for 4 days. The doctor decided that it would be best for her if they plicated (stitched down) her left diaphragm. So yes Sarai had yet another surgery before leaving to come home. This one was fairly straight forward and very quick. We did end up back in the NICU after the surgery for her recovery and a little visit with our favorite nurse! On the fourth day we were back up to the "Floors" and on the road to going home. Going for a ride back up to the "floors"
Daddy took four of the boys and went home and Mommy and big brother Danny stayed for the duration until discharge. The biggest thing during January was getting Sarai to fully breastfeed. It was so frustrating when we were on the floors cause mommy knew Sarai could do it, however i was not able to breastfeed her until we met with the speech pathologist. She came once when Sarai was sleeping and then never showed up for our future appointments. As you could imagine this was more than frustrating cause all that was on my mind was, there is no way I was taking her home tube feeding and wanting to get her to the breast. So what did mommy do? When we went back to NICU for her last surgery I spoke with the head nurse and said "The only thing I want you to allow me to do while we are down here is to breastfeed Sarai." She was actually very surprised that she was not breastfeeding already. And so, they let me and lo and behold by the time we went back up to the "floors" Sarai was breastfeeding only, during the days! Curly Hair after her bath! The other thing that mommy had to learn was how to give Sarai a NEEDLE! I really did not want to have to do this, however Sarai needed it to be done for awhile yet and if she was to go home it was something mommy would have to learn. Goodness by the time everything was over I think I was ready to be a nurse! My Mommy is going to do what to me? Giving my little girl a needle was definitely a scary experience but I learned quickly and we have it mastered now. She gets the shot twice a day for the blood clots in her leg and neck. She will get it until the end of March so we are halfway through now. And amazingly enough that was the only med she came home on besides her vitamins and iron. Another reason to Thank the Lord. We have so so so many things to be thankful for and blessed with. All bundled up for her walk to the room! Doesn't Danny look so HAPPY? Of course mommy couldn't wait to dress her up and do a photo shoot! It was great....to finally have my sweet baby girl in my bed all night long, I laid awake for the longest time just staring at her and Thanking the Lord for bring us through the Storm and now I could see the rainbow! Staring at her and thinking about what strength the Lord has given her to go through not 1 but 3 open heart surgeries, Heart failure and the diaphragm plication. What a MIRACLE she is, laying there beside me and the only thing left that would make one realize it all is the scar on her chest, which by the way is fading very well. WOW was all I could think. WOW is still what I think! On the Monday we went back to the hospital to check in and Sarai was officially discharged that morning.............YAHOO.....Danny was even doing the leprechaun jig and clicking his heels...LOL. To watch her feeding tube finally being taken out brought tears to my eyes as the thought "this is it the last tube is finally out" ran through my mind. After 2 months and 12 days we were finally FREE!! ...and an amazing moment for Uncle Joey to see his little niece for the first time and see her smiling and looking so very healthy! I think everyone was able to sit back and take a deep deep breath. 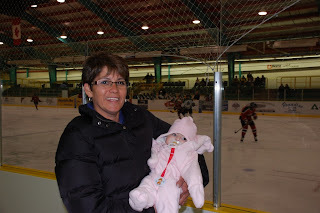 Sarai even got to take in a hockey game and not any hockey game, her uncle's hockey game! I wish we could have spent a few more days with Nana and Papa but at least we got to spend one and we will go back for visits! And I will take this moment to say "Dad, Mom thank you thank you thank you from the bottom of our hearts for all the days you dropped what you were doing to come and support us, mom for the many many days you took to be with us, you will never know just how grateful and blessed we are to have had you there for us! We love you guys so much. 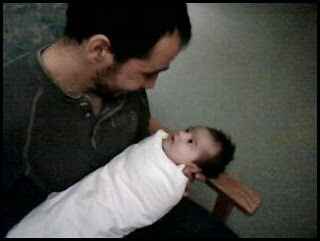 On February 10th, 2010 Sarai went on her first plane ride....back home! Sarai did great. I think it was a great moment for Daddy and her big brothers to see Sarai coming through those gates, finally on her way home! The best moment for Daddy and Mommy to finally have their little Princess laying right in between them on the bed! How we talked about that day for so long. 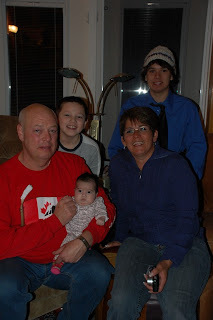 However the Greatest moment was on he evening of February 12, 2010, walking into our home and looking at us altogether, our big HAPPY FAMILY!!! We are complete! 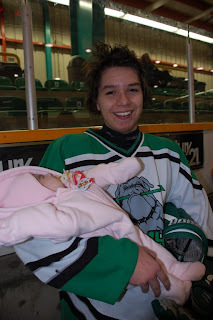 Josh enjoying holding his lil sis at home! I sit here now, in our home, looking at her and it feels like I just woke up. Like we just went through the roughest storm we have gone through and I am so glad that our hearts were changed, that we were somewhat prepared and that our foundation was moved from the sand to be established on the ROCK!!! Without God I have no idea what the outcome of this all would have been. We can not deny nor can many who have been supporting and praying with us, that GOD IS GOOD!!! That He listens to our cries, that He is in control, that He wants us to rely on Him and Him alone, That He will provide for us everything we need including doctors with great talents as the doctor who operated on Sarai's heart, That He is real, that He still performs Miracles, for Sarai is a MIRACLE. God is the SAME Yesterday, Today and Tomorrow. The things we read about in the Bible, the things the Lord did in the Bible, He will still do them now and forever and why? Because He does not change!! One of our many many cuddle moments! Thank you to you all who have supported us in any way, in Prayer, financially, by calling with encouraging words and Believing with us and never doubting! Thank you So very much and may you all be greatly blessed! I think the most memorable thing said about her was when Sarai was laying on the floor at Nana and Papa's and they were sitting there watching her and Papa says "You know you should have named her Miracle!" Now we are relaxing and taking in the Rainbow at the end of our Storm. Well three months in this big city has made way for many experiences! Many trips to the big mall where we took in the seals, lemurs, mini golf, movies and a lot of window shopping. This has to be one of my favorites! Daddy and his boys! 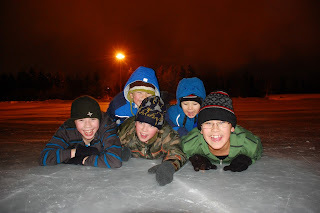 Enjoying the evening out in the snow!! 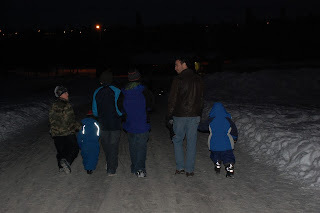 Then we have the out of the ordinary trips we went on included an evening at a huge park in the city where they had a man made lake for ice skating (didn't get to do that as we had no skates), a very fun snow hill and lot and lots of space for the kids to be free!!! 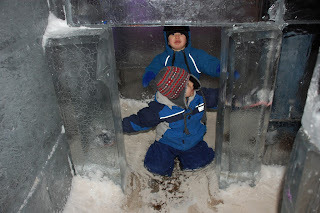 We also came upon an outdoor ice festival near by our hotel. It was so cool. 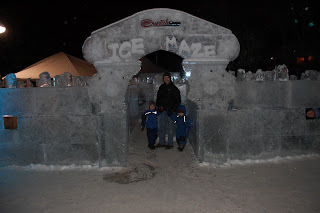 The kids were able to see some very cool ice sculptures, a huge carved ice bridge, an enormous carved ice castle and some very cool gigantic ice slides. It was so cool and we went in the evening so we could see it all lit up! Ice giraffes...this was my favorite carving! We also went on a few swimming excursions to on local pool and one pool in another town not too far away. It was a lot of fun for us all. It will be so nice to be able to have Sarai join us on our family outings! This month we also celebrated not one but two birthdays! Mick turned 12 and Danny turned 8. They both got to pick out their cake, and had a special day with breakfast and dinner out and visiting with Sarai! There are many other things we would have loved to do, however there are always other times to do those things and it will be something to look forward to in the future! It's ALWAYS a challenge getting a good one of them altogether! !